Mandatory Entry Level Training (or MELT for short) is slowly being implemented throughout Canada. In today’s blog post, we will be going over some key points about this new commercial training requirement. Although currently not implemented in British Columbia, provinces like Ontario, Saskatchewan, Alberta, and Manitoba now have mandatory training for commercial drivers. This program is currently still being discussed in British Columbia, with more provinces following soon after. Each province has slightly different requirements for MELT, which we will be going over below. Ontario was the first to implement mandatory training in July of 2017. Any person looking to obtain a Class A (tractor trailer) licence is required to take at least 103.5 hours of classroom and on-road training before being eligible for a road test. The MELT program designates 36.5 hours for classroom time, 17 hours for yard training, 32 hours mandatory on-road training and 18 hours off-road training behind the wheel. Training providers or schools in Ontario are able to set their own costs and programs vary in cost. There are programs from $4900 to $15,000, depending on the school and the experiences provided. To help off-set some of the costs associated with this training requirement, Ontario does offer funding options. There are government programs available such as Second Career, which helps to cover program costs and living expenses for unemployed and laid-off workers, Workplace Safety Insurance Board, which helps rehabilitate injured workers into a new career, and Ontario Works, which will cover the cost of the program for recipients. There are also programs set up for Aboriginal Band members to help cover costs. Employers are also able to apply for funding directly to help pay for new employees to get their licenses. This is done through the Canada-Ontario Jobs Grant, and is a great way to hire the employee you want, even if they don’t have the required licence or training time completed. 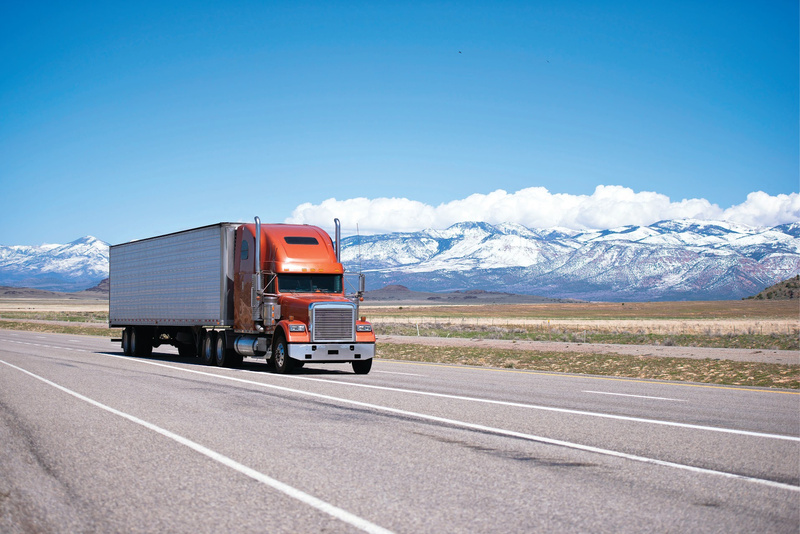 The most recent addition to Mandatory Entry Level Training (March 15th, 2019), Saskatchewan requires a minimum of 121.5 hours of training, including classroom and on-road time for Class 1 (tractor-trailer) learner licence holders. Any person who passed a Class 1 road test prior to the implementation date will be grandfathered in and not required to retest. 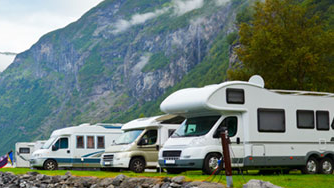 If you are looking to move to Saskatchewan, and have already obtained a Class 1 or equivalent licence, there are a few things to keep in mind. Drivers that have already completed the MELT program with another province or have held their Class 1 equivalent for more than two years are able to transfer directly into a Class 1 Saskatchewan licence. A driver that has held their Class 1 for one year to two years, are able to transfer it up front; however, would be required to take a knowledge test and road test within the year of transfer or the licence would be downgraded to a Class 3 equivalent. Any drivers that have had a Class 1 licence for less than one year, would be transferred to a Class 3 licence, and would then be required to complete the Saskatchewan MELT program to upgrade to a Class 1 again. Of the 121.5 hours of training required by MELT, 47 hours are designated for classroom time and 17.5 hours of yard training. The MELT also requires 57 hours of behind-the-wheel or in-cab training that can be broken down to 39 hours on-road training and 18 hours off-road. Class 1 training in Saskatchewan will cost between $6,000 and $8,500, and grants may be available to help with the expense. There have been talks of having the training costs covered under the federal student loan program; however, there is no confirmed information at this time. Effective March 1st, 2019, Alberta now requires 113 hours of training, including classroom and on-road time for Class 1 (tractor trailer) learner licence holders. So far, Alberta is the only province with a mandatory entry level training requirement for Class 2 (bus) licensing, which is for 50 hours of training. Alberta has also instituted training requirements for Class 2-S, which is required to drive a school bus, of 53.5 hours. Any Class 1 drivers that received their licence in Alberta prior to October 11th, 2018 are not required to retest or take the MELT program. Anyone who received a full Class 1 licence between October 11th, 2018 and February 28th, 2019 will be required to take a knowledge test and road test to keep the licence. Alberta has followed very closely to Saskatchewan’s model for transferring a licence from another province. Drivers that have already completed the MELT program with another province or have held their Class 1 for more than two years are able to transfer directly into a Class 1 Alberta licence. A driver that has held their full Class 1 for one year to two years are required to take a knowledge test and road test to receive the licence. If a driver is unsuccessful on their initial attempt, they would be required to take the MELT program. Any drivers that have had a full Class 1 licence for less than one year, are required to complete the MELT program to obtain that Class of licence again. For a Class 1 licence, 40.5 hours of the MELT program is designated for classroom time, 15.5 hours for yard training, 57 hours of practical training. Alberta does not have an on-road or off-road requirement for behind the wheel training. The Class 2 licence has 18 hours of designated classroom time, 10.6 hours of yard training, and 21.25 hours for practical training. The Class 2-S has slightly more required training, with 18.5 hours of classroom time, 11 hours of yard time, and 24 hours of practical training. To help students receive a fair rate for training, Alberta has introduced a cap of $10,000 for the Class 1 MELT program and a cap of $5000 for the Class 2 and 2-S.
Manitoba announced on March 26th, 2019 that they will be implementing a MELT program on September 1st, 2019. They will require 121.5 hours of training. At this time, they have not provided a break-down on how the training will be distributed. Any driver that completes the road test and obtains a full Class 1 licence prior to the September 1st implementation date will be able to continue to hold the licence without any additional training or testing. Uniquely, Manitoba does have a 244-hour Professional Truck Driver Training Course which is offered at private institutes and will be considered equivalent to the MELT program. Students that are making their way through the Professional Truck Driver Training Course will be able to continue their training program and complete their road test after September 1st, 2019. Out-of-province drivers with a full Class 1 licence can move to Manitoba and transfer their licence without any additional training or testing, as long as they have already completed the Mandatory Entry Level Training in a different province or have held their licence for a minimum of two years. Out-of-province applicants with one to two years of experience will be allowed to write a knowledge test and road test within one year of transferring the licence. Successfully passing both tests will waive the need for any additional training. Any person that has held a Class 1 licence for less than one year will be required to take the MELT program and complete both a knowledge test and road test. At this time there is no information on training costs or financial aid for Class 1 licensing in Manitoba. Although there are currently no minimum training requirements in BC for commercial drivers prior to their ICBC road test, it is highly recommended to complete formal, professional driver training for all commercial classes of licence. Future employers prefer seeing professional driving training on candidates resumes. Valley Driving School’s truck programs are designed to have the minimum number of on-road hours employers require their new hires to have. Class 1 commercial driver training is currently being reviewed by ICBC and the Canadian Council of Motor Transportation Administrators to see what improvements and standards should be implemented. They have not released any information at this time as to what these changes may be; however, they have stated that they are monitoring the MELT program in Alberta. The BC Trucking Association (BCTA), along with the Canadian Trucking Alliance (CTA) and various other trucking associations, have created the CTA 10 Point Action Plan. 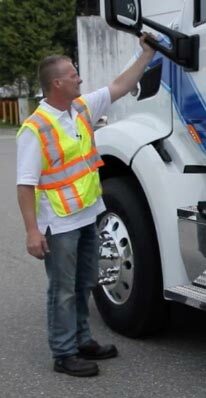 This plan outlines ways to promote and improve safety for truck drivers and those they share the road with. It has helped as a starting point to build the MELT program in other provinces so far. If everything goes according to plan at the federal government level, Mandatory Entry Level Training will be implemented across Canada by January of 2020. Truck drivers keep our world turning by delivering and transporting almost everything that is used on a daily basis. MELT requirements, along with quality truck training, will help to ensure everyone on the road – pedestrians, passengers, and drivers alike, will return safely to their families at the end of the day.